Adopted from the Humane Society in 2015! 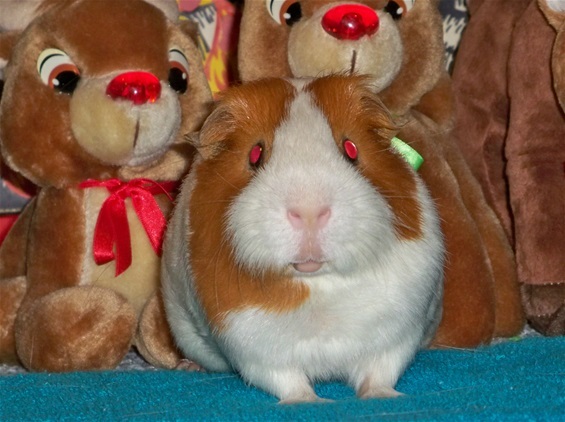 Rupert (a "senior") was adopted on Dec. 28, 2015 from the Humane Society! 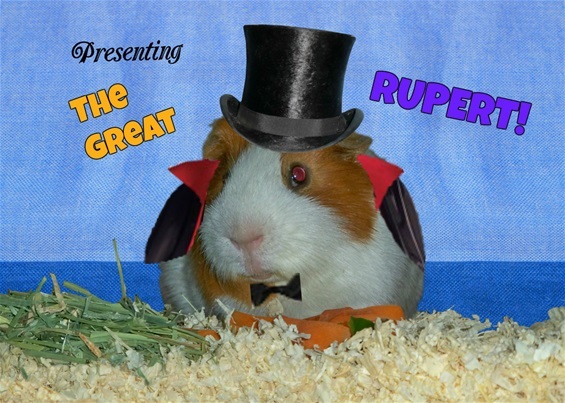 Rupert the Great was lovingly named after the famous British children's book character, Rupert the Bear! 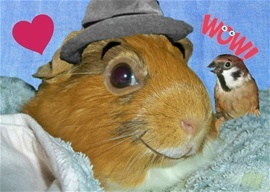 FUN FACT: In 1986, Paul McCartney provided the voice for Rupert in the fabulous TV special, "Rupert and The Frog Song"! After a safe ride home (in a Pet Taxi) from the Humane Society, sweet 3-year-old Rupert inspects his new environment! 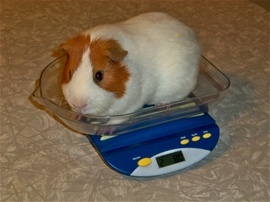 Although a bit timid, Rupert immediately fell in love with his new cage, abundance of fresh veggies, and new toys! HUGE yawn from fuzzy Rupert! Being adorable 24/7 can be very exhausting! Precious Rupert looks like an Angel when he is sleeping! 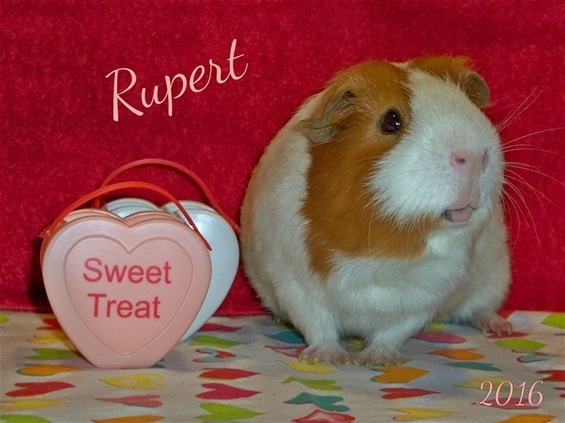 Rupert the Great: "Pet of the Day" October 2, 2017! 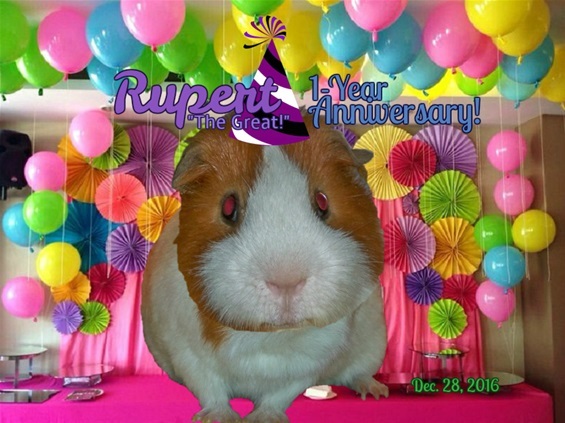 Happy 1-Year Anniversary to Rupert the Great - and Us! 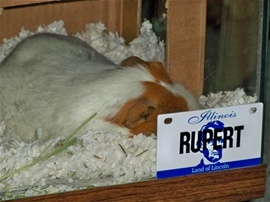 Stay Tuned for MORE Photos of our Rupert the Great! 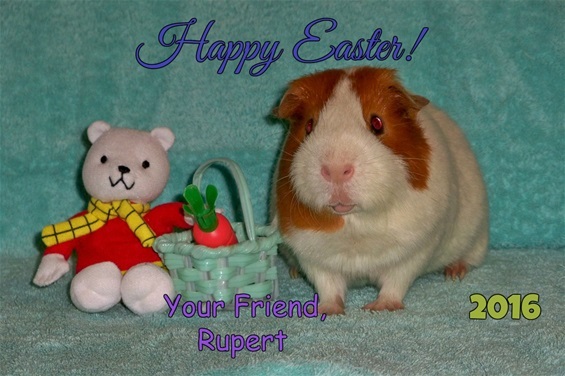 PLEASE, PET FRIENDS, ADOPT OLDER HOMELESS SHELTER PETS (LIKE RUPERT)!